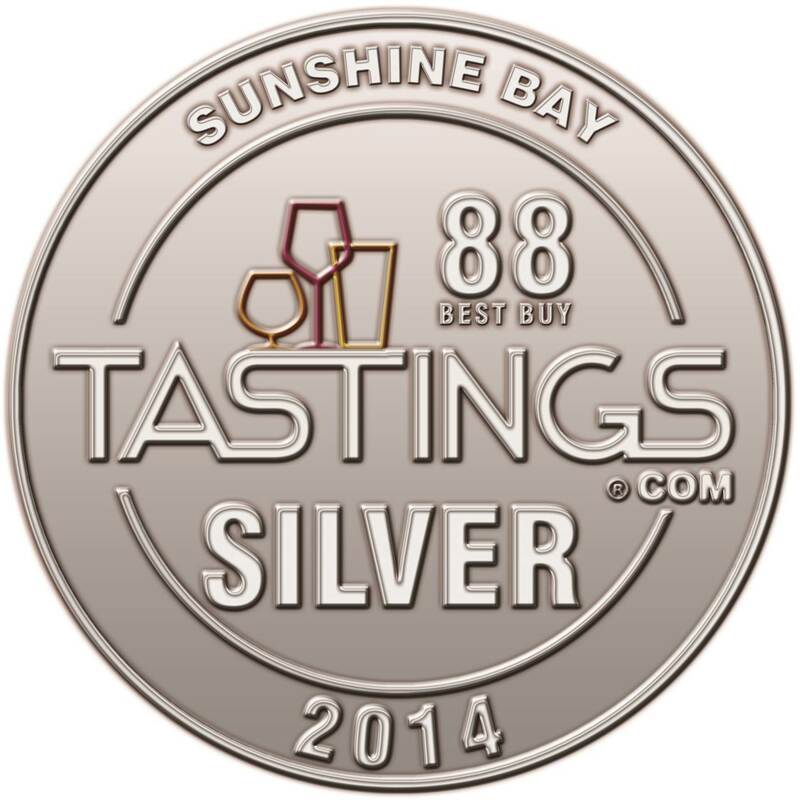 Aldi Wine | G.K. Skaggs, Inc.
Irvine, CA – January 26, 2015 – Sunshine Bay Sauvignon Blanc scored 88 Points Best Buy, “Highly Recommended”, in the 2014 World Wine Championships. “Pale silvery straw color. Bold, smoky aromas and flavors of grilled grapefruit and peppers and straw with a supple, racy, dry-yet-fruity light-to-medium body and a tingling, breezy finish with notes of grassy earth and melon rind. A zesty New Zealand sauvignon blanc that will be great with shellfish.” Tastings.com. Sunshine Bay Sauvignon Blanc has rated exceptionally well over the past four years. Sunshine Bay Sauvignon Blanc is blended from the estate vineyards in the Wairau Valley of New Zealand’s world famous Marlborough wine region. The wine is aged in 100% stainless steel tanks, no outsourcing of fruit, equipment or labor. G.K. Skaggs has succeeded in creating high performing, long term control label brands for retail and wholesale partners. They create brand identities from start to finish; Product sourcing, creative branding, package design, production and developing the frame work for a successful market strategy. Each is a key element in order to establish strong exclusive brands for retailers. G.K. Skaggs is not only the supplier of brands but the enforcer of brand messaging, manager and creator of marketing efforts and the working engine which builds brand equity, striving to make each brand a success within in the market. For more information contact G.K. Skaggs, Inc. at 800.578.7521. For more information on G.K. Skaggs, please visit http://www.gkskaggs.com or the company’s Facebook and Twitter pages.